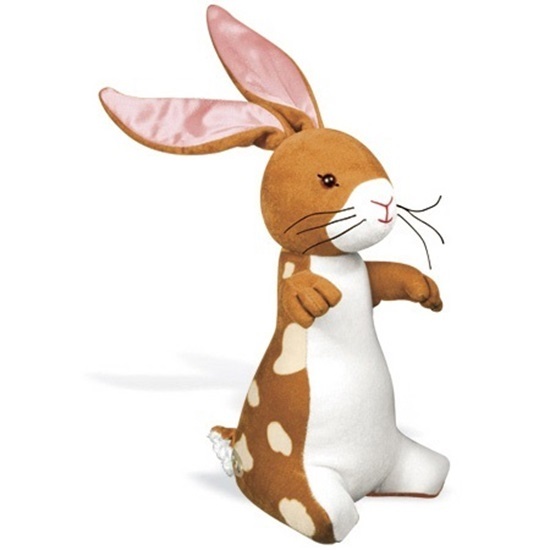 This is a 10 inch super soft velvety rabbit from the classic tale..
From the classic tale comes your very own Velveteen Rabbit. Designed with elegantly simple lines, a shimmery velveteen coat, soft cream anglaise colored spots, and a snow-white belly. Pink satin ears, button-thread whiskers, sparkling eyes with embroidered trim, hand-stitched details, and a silky chenille tail complete this soft little rabbit.